First you will need to go here and click on Register. A new page will open up, fill in all the fields with your information, then click Register at the bottom of the page. 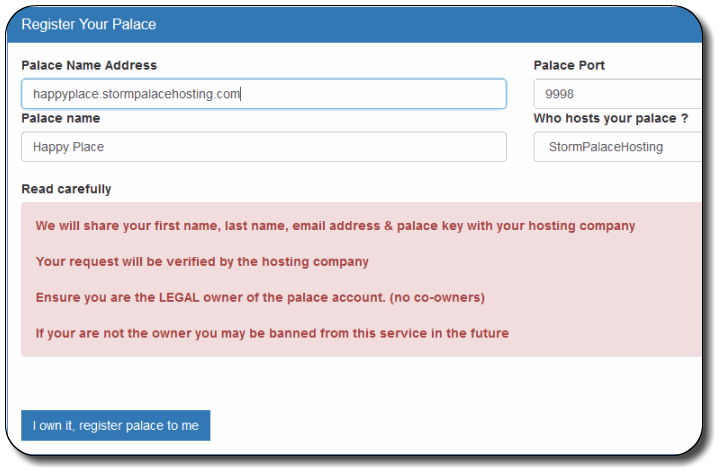 You will then need to proceed to your Email Account to verify your newly made account with PalaceWorld. Note: Hotmail and live email accounts will not work with our system. The Official Home of StormBot! 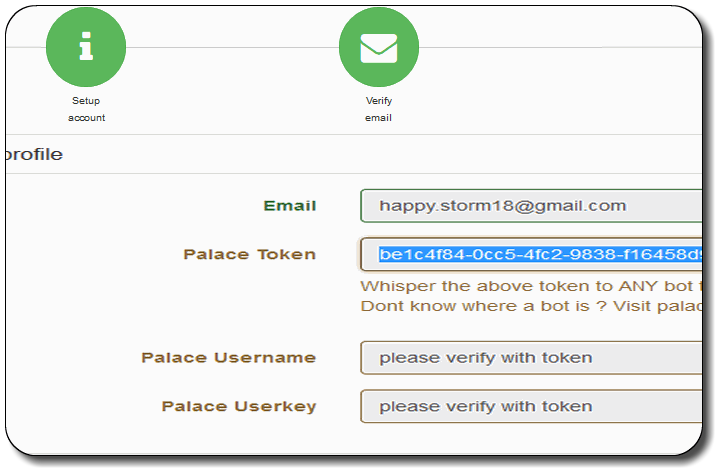 Once the bot has accepted your Palace Token, refresh your registration page to verify results. 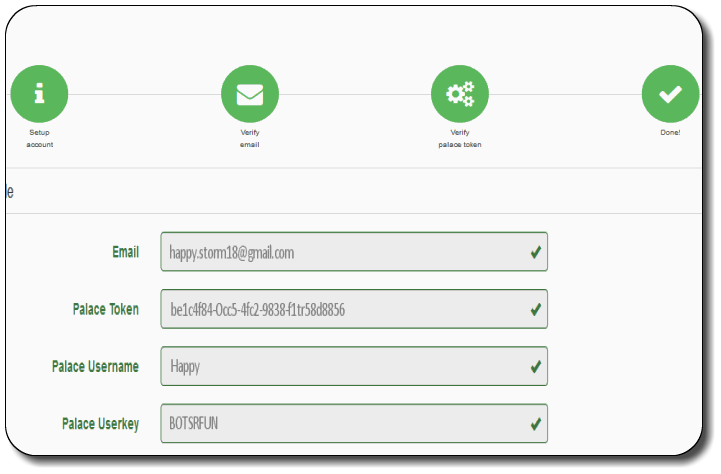 If all the fields are completed correctly, all the steps will be shown in green and checked. You are now registered with PalaceWorld. Congratulations! 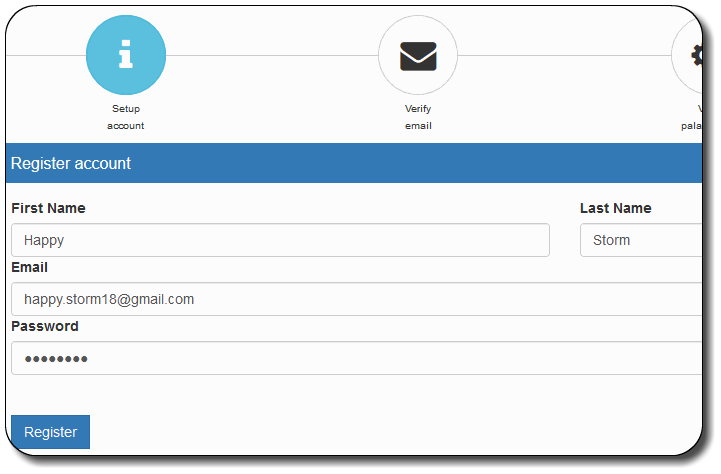 Next mouse over your email address in the top right corner and Logout. Your almost there! 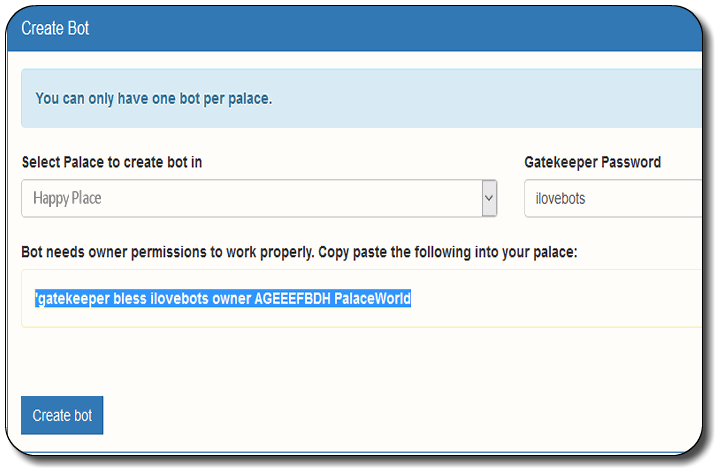 Now just select your palaces name from the drop down menu and make a Gatekeeper Password for your bot, Highlight the gatekeeper command below, copy and paste that into your palace. Click Create bot. Your bot is now on its way. This can take up to 10 minutes. 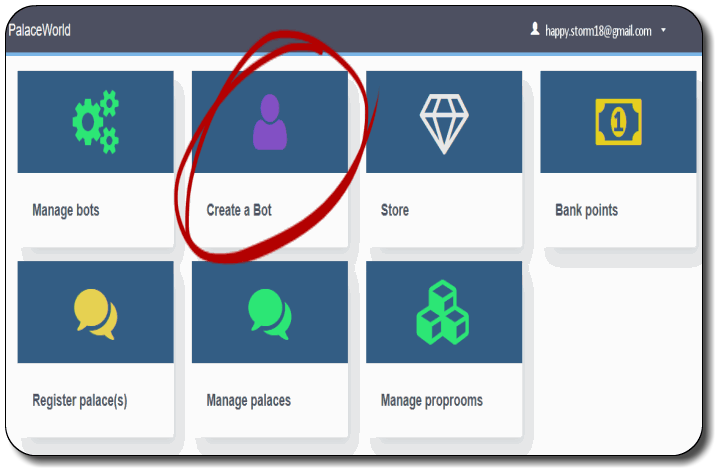 If your bot does not arrive, contact your Hosting Company for support.